Whenever you’re looking to sell, or even just appraise your home, you’re going to run into home inspections. Home inspections will determine a variety of things from how much your house is worth to whether or not it’s safe. For many people, they seem like a formality for paperwork’s sake. Unfortunately, there are many hidden problems in your home you may not even be aware of. These small things aren’t only avoidable, but can greatly impact the results of your home inspection in a rather negative way if ignored. The home inspector is going to try to determine the condition of both the physical structure and systems of your home. They’re going to look at everything – from the shingles of your roof to your foundation. This means they’re going to have a lot of ground to cover and you should take note about certain things in your home. There are many common problems that become uncovered when a home inspection is conducted. We’ll go over some of the most common and important ones below. If you have any kind of heating or central air system, this will no doubt be something tested (weather provided). You may not realize that your system isn’t working properly, especially if you don’t know how to inspect the equipment. Even if it functions adequately, this doesn’t mean that it’s in perfect order. Cracks in heat exchangers or water tanks don’t just effect productivity, they also pose a health and safety risk. Dirty gutters are one thing that homeowners often overlook. Gutters that are clogged, bent or not the right size should be cleaned and replaced where necessary. Preventative measures are the best ones to take. Windows are one thing you should also be aware of. Especially if you have hung windows, you’re going to want to make sure that they stay in place and work as intended. If you have to stick in a piece of scrap wood to keep the window from falling, this means that it’s not working properly. 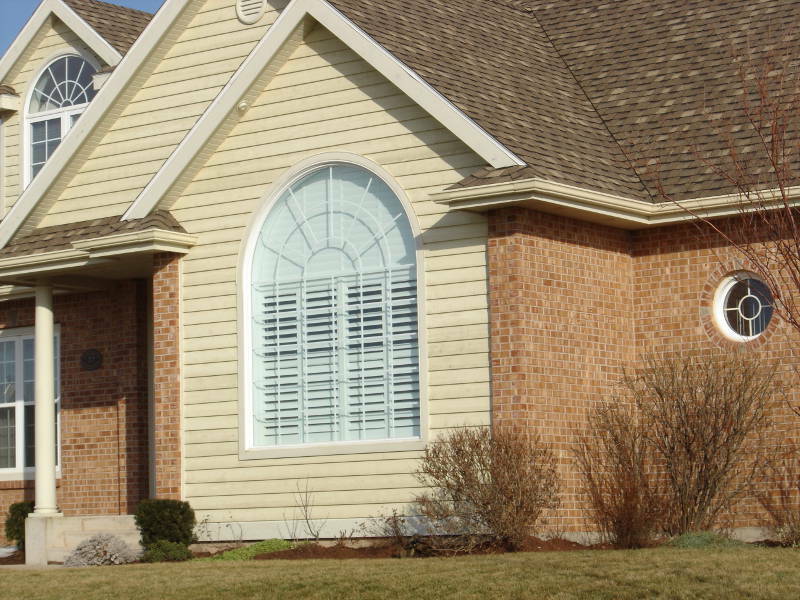 It may be wise to replace your windows before a home inspection. At the very least, you can clean them first to make sure they look their best. Poor ventilation can also be a problem that can be solved by windows. It’s important to make sure to utilize proper ventilation to keep the condition of your home up to standard. Make sure to occasionally open windows in your attic and basement during good weather as well as keep windows open while you shower. This will reduce extremely hot temperatures as well as excessive condensation. If you don’t want to install windows, it can be a good idea to invest in vent installation. Doors are another thing that you have to pay attention to. Make sure that your doors close properly and do not jam. Especially with older wooden doors, you may notice that they don’t properly fit inside the frame or close properly. If your doors don’t close properly this can lead to heating (and cooling) problems. A wise investment would be to replace your old, worn out wood door with a durable and energy efficient steel or fiberglass door. They’re made to withstand anything Milwaukee weather throws at them. Defective or missing siding is a leading problem in home inspections. Damage to the siding may not seem like a big deal functionally, but can make your house less energy efficient as well as an eyesore. This can have a huge impact on property values. 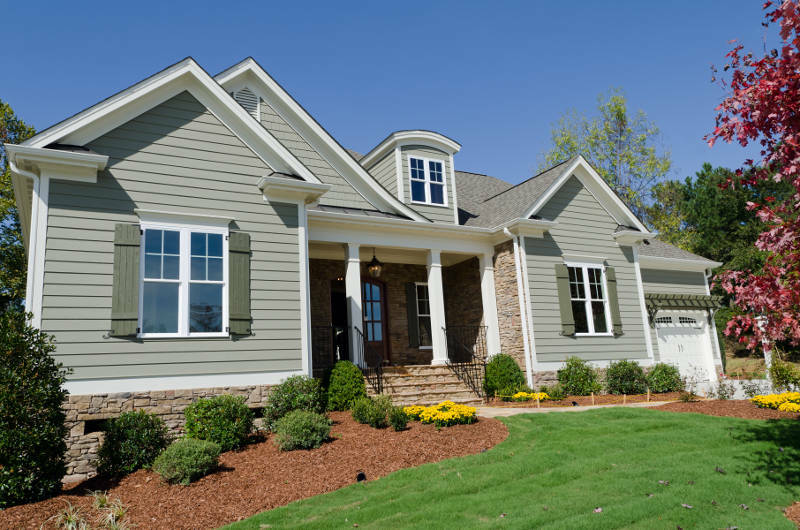 Even if you don’t want to entirely replace expensive wood siding, vinyl siding options are available that can help with your home inspection without breaking the bank. Having faulty water pressure or slow drains are also something you’re going to want to avoid. Check that your pipes are not leaking and fix and tighten them where needed. It may be wise to have a professional plumber come in and inspect your plumbing before you have a home inspection. It’s never a bad idea to check your septic tank as well. Leaky ceilings are a common problem in many households. You may not even realize you’re having the problem, but a professional home inspector knows how to recognize these signs. If you haven’t already witnessed obvious signs of leakage during the latest storms, try to check your ceilings for bubbles, discoloration or cracks. These can all indicate water damage. Whether it’s a problem with your roof or plumbing, it’s best to personally examine your ceilings and make necessary repairs before the home inspector comes. If you have an old house, it’s very likely that you may have some flaws in your foundation. This can result in slanting structures as well as cracks directly in the foundation. While some of these problems are much harder to fix than others, you can apply epoxy to fill in those visible cracks. Cracked driveways overgrown with weeds are often criticized by home inspectors. Everything from your actual house to your yard will be assessed during a home inspection. Take appropriate preventative measures and repair parts where necessary to keep your driveway looking good. Even if you’re not experiencing any problems with your electricity, your wiring may still fall under the definition of faulty. Having open junction boxes, inappropriate amperage, no wire nuts on wires and exposed wires are common problems. Fixing the junction boxes, upgrading amps and taking the steps to properly house wires before the inspection is important. Enlisting the help of a professional electrician may be of best interest for both your house and your personal safety. This may seem like a lot of things to manage, but with proper home care, these problems are often easily avoided or fixed. There are a few things to keep in mind in order to keep your home in the best condition possible. Try not to push off mowing the lawn or cleaning out the gutters. Keeping up with little things like this case save you a lot of time and money later on. Although it may seem expensive and online tutorials may make it look easy, know your limits. There are a lot of simple home fix-ups that are easy DIYs. However, not every project is. Learn to understand your limits and ask for help when necessary. Trying to engage in some home improvement projects without the proper experience can be risky for both the condition of your home and even personal health. Think of your home like a person. We need to go to the doctors every year or so for a little check-up, even if we feel completely healthy. Even if you don’t see any immediate problems with your home, it’s a good idea to regularly check them so that you avoid them being a huge problem in the long run. It can be easy to ignore a little problem when you see it. You may notice that the water pressure is a little weird or that your basement seems a little damp. Never rest on these problems and always check them out so you can fix them before they become a problem. If you follow these tips and inspect your house accordingly, you will make some huge strides at keeping your home in top condition and acing your home inspection. 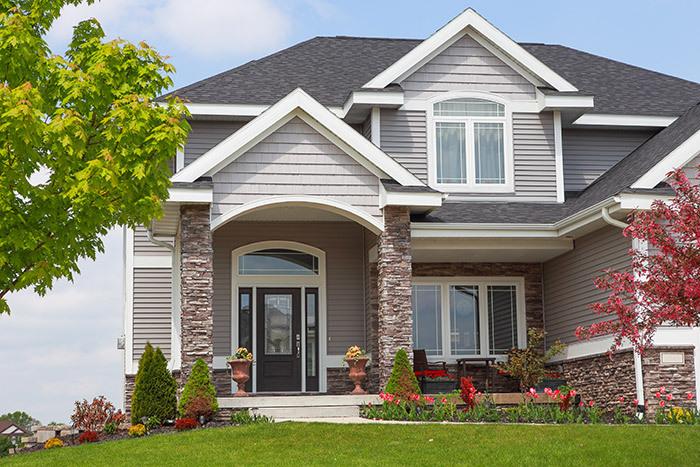 Whether you’re selling your home or buying one and the windows, siding and doors are in need of replacement, look no further than Feldco. Start your next replacement project today with a free quote online.